Where can you find billions of records that can help you with your family history research? And what about building a family tree and possibly connecting with a distant cousin? Well, the best genealogy sites can do that. Here I will reveal the top 5 websites that you need to check out! Each site is unique for your needs! This is my guide to the best genealogy websites that you will find online today. Most of them are paid subscription sites, meaning that you will need to pay an ongoing fee in order to use and access the records that you are interested in. The only exception to the list is Family Search which is the world’s largest free genealogy search site. Each of these sites are unique in their own way, so you will need to see what they have to offer and decide whether they are right for you. After you finished reading this review you may want to check out the ten best genealogy search websites over at Top Ten Reviews. What To Expect From A Genealogy Search Website! Before you can actually decide on which site is right for you you need to know what you can at least expect from them. After all as I pointed out at the start of this review no two sites are the same. With that said there are some standard tools and features that you would expect from such a site. But depending on the site you may get varying levels of performance from them. Below is just a quick overview of what a typical site has to offer. Check out my What Do Genealogy Search Websites Offer post for a more detailed guide. Depending on which site that you go to you could either find millions or billions of genealogical records that you can use for your research. Obviously the more records that are on the site then the more chance that you will find your ancestor. The types of records that you should expect on any genealogy search site should include vital records, (birth, death and marriage), and census records. These are great resources that will help you to start to build your family tree by giving you facts about your ancestors. The more popular sites will include military records, passenger lists, immigration and travel records, directories, wills and probates, and newspaper archives as well. So there is a lot of interesting things that you can discover about your ancestors from these sites. A family tree builder should come as standard with these types of sites. As you learn facts about your ancestors then you can easily plug them into your family tree. By discovering more and more information you can watch your tree grow more and more. And the beauty of this tool is that you do not have to use a separate program. However, the if you want to print charts, reports, check out maps, etc then a genealogy software program is a must. The top programs will connect to these sites, but maybe just one or two. So, you will need to check which program connects to your chosen site. You have probably seen the Ancestry TV ads where someone has joined this site and builds their tree. As their tree grows they get these little leafs that point them to records within their database. Let me say that this is a great tool for you and can really save you time searching for records. The information is right there, you just need to check it out. Of course though you will need to sift through the records that do not relate to you. This is a tool that you can really benefit from and the best site will include this. And also the best genealogy software will have this included tool as well. As with any product or service there is a usually a free trial period. This trial can give you an opportunity to see what these search websites are all about and and what records that you can access. Most of the trial periods are 14 days, yet there can be ones that only give you 7 days. I would encourage you to try before you buy. Also, a good tip is to make sure that you do have free time on your hands to try out the site. There is no point signing up to a site only to not have an opportunity to check it out. You will only be wasting your time. Everyone gets stuck once in a while. And when using such a site there will most likely be a time when this happens. Any good site should have some help and support in place. You should expect at least some contact details where you can get help directly from the developers of the site. So there should be an email address, phone number to call and maybe an address as well. There should also be a contact form that you can fill in. These forms seem to be a last resort after going through a site’s FAQ section. Other forms of support include video tutorials, articles, and learning centers. Genealogy is a hobby where we can all learn from each other. We can learn valuable advice, get tips and tricks from our fellow family historians as well. Hey, that’s why I created this site, so that you could learn from my experience. So, you should find either a message board or forum where other users of the site communicate and get help. There will likely be different areas within the forum where you can post your relevant query. 1. Ancestry – The Most Popular Genealogy Site Today! Known today the world over by not only the family historian but also everybody else. It doesn’t matter if you aren’t interested in researching your family history as you have probably heard of this site. Offering the most out of all the genealogy sites, with 20 billion records Ancestry has become the world’s most popular go to site. But how can this site help you with your research and what can you expect from it? What Does Ancestry Offer You? The sheer volume of records that this site has within its databases is a genealogist’s dream. I just can’t believe that Ancestry has 20 billion records for you to peruse through. And its’ collection grows all the time! The site includes the usual vital records such as birth, marriage and death certificates, but also census records that can really help you to expand your tree. Military – Draft, enlistment and service, casualties, pension records, awards and decorations of honor, and more. Immigration & Travel – Passenger lists, citizenship & naturalization records, and more. Schools, Directories & Church Histories – City & area directories, profession & organization directories, and more. Tax, Criminal, Land & Wills – Wills & probates, land records, court, government & criminal records, and more. Reference, dictionaries & almanacs – General reference materials, research guides & finding aids, and more. That is a lot of different records for you to look through. And it can be overwhelming so I would suggest for you to just pace yourself and take little snippets of information. Just digest each little bit before going back for more. Yes, sorry but there is more within Ancestry’s collection will be of use to you. There are family trees, stories and publications, photos and maps, and special collections as well. This feature and tool are probably what make Ancestry so famous. You most likely have seen those TV ads where they show someone who has built their tree using their tool and have gotten a hint to records that they can check. It’s a great initiative for you as you discover more and more about your heritage. As long as you enter as much as you know about your ancestors then the more that you will uncover. You can narrow in on those records by filling in more information about your ancestors such as life events, (eg birth), and family members, (eg wife). There will be some records that may not contain information about your ancestor. I have found though that the more that you build your tree then the more likely that you will find what you are looking for. This is because Ancestry will base its’ search on what you have entered. Again this is a feature that has helped my research a great deal. When you subscribe to Ancestry you can gain access to other members trees. That is of course if they have granted public access. Here you can find further branches of your own family as these members trees will have some connection to yours. A word of warning as you will need to make sure that they do contain accurate information. To make your research easier for you when you are out in the field, (not literally), you can get a mobile app. This will allow you to have your family tree in your pocket. You therefore do not need write anything that you may find and then have to wait til you’re at home to edit or amend your tree. The community of family historians and genealogy experts is something else that makes Ancestry special. You can get help from others by visiting the message boards that have categorized either by locality or by topic. This is a project where you can submit your records and research. It is a way of giving back to the genealogy world and helping others to trace their roots. If you are serious about tracing your family roots then you should consider subscribing to Ancestry. As I have mentioned before with 20 billion records for you to search through this site has the highest chance for you to find what you are looking for. Also covering a vast array of records for you to look through you can not only learn the facts such as what your ancestors names were, where they lived, where they married, but much more besides. I quite like that you can sign up for a one month or a 6-month subscription. No don’t have to stick around for a whole year if you don’t want to. You can’t possibly find everything that you want in a month, but half a year is definitely ample time. I also like that you can get help from the community and you have the potential of contacting distant cousins. And this connection is possible thanks to the site being so popular. 2. MyHeritage – Offers A Lot For The Family Historian! The second place has to go to MyHeritage. Although not offering nearly half the number of records that Ancestry has within its collection this site is still worth checking out. There are plenty of tools included on this site that make up for the shortfall in records. Even though in my mind 9 billion records is nothing to be sniffed at. This Site Offers A Lot To The Family Historian! What Does MyHeritage Offer You? With this site being supported by 42 languages you can safely say that there are a lot of people who do use this site. And it can help you too! MyHeritage though set things out a little differently when it comes to their collection of records. But that shouldn’t be a problem as it is a pretty simple and easy site to use. This search tool will link you to all the records, family trees, photos, videos, and documents contained on the site. You just enter your ancestor’s name, year of birth, place and any keywords. The search will then bring up any relevant. Similar to Ancestry MyHeritage also offers vital records and census records as well. These as I have mentioned are pretty much a standard inclusion on any of the best genealogy site. But there are more resources besides these two that will help you with your family history research. Family Trees – Check out family trees that have been created by members of the site. And also trees hosted at Family Search, Geni World and trees hosted on other sites. Photos – Access photos and documents that have been uploaded to the site. Military – Draft, enlistment & service, Pension records, Military documents. Immigration & Travel – Passenger lists, Citizenship & naturalization, Immigration & emigration and more besides. Unlike other genealogy sites there’s no need for a subscription in order to create and build a family tree on this site. However, there are limitations to creating a free tree. You will be limited to 250 people in your tree with a maximum storage space of 500MB. This limit is increased to 2,500 people and 1,000MB storage for the Premium package. And then the Premium Plus package has no limit set at all. There are a number of matching technologies that are used during the search function that can help you with your research. Basically this technology can check other members family trees to see if there is any relevance to your research. This feature is only available to the highest subscription package at MyHeritage. This is a great tool as it can show you any gaps in your knowledge relating to an ancestor. Similar to Ancestry you can expect to get help from others by visiting the message boards. The boards are broken down into 10 categories to help you get the support that you need. Yes it doesn’t contain as many records as Ancestry does, but you would think that with 9 billion records in its collection it surely can help you. And even if you do not want to subscribe to the site you can still build your family tree for free at this site. With other sites, (Family Search excepted), you would need to subscribe before you could even use this tool. It won’t really help you with learning about your ancestors but I thought that I would just mention it. The technology that is used behind the scenes is really powerful. The Smart Matching feature I particularly like as it can connect you with other members trees. It’s great to get records as well as connect you with distant cousins. MyHeritage doesn’t offer as much help and support as Ancestry but you will most likely get the assistance that you need if you get stuck. The one thing that I don’t really like is that there is no monthly subscription. They just offer annual packages. But if you can see yourself working on your family history for a while then this shouldn’t be a problem. 3. Family Search – Hit & Miss But Can Still Help You! 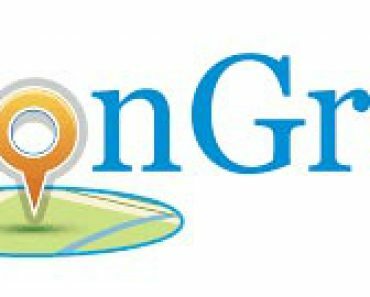 Billed as the world’s largest free genealogy site Family Search is the place to go for genealogists where they can get information for free. Although not offering as many records as the others in this top 5 list it certainly deserves its position at number 3. Also, I must point out here that you should definitely check out this FREE site first before you go checking out the paid sites. 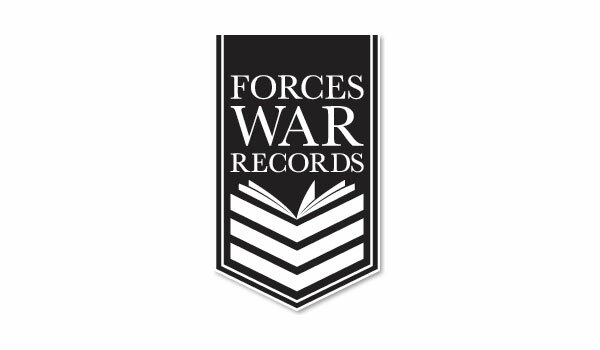 After all there’s no point paying for records when you can get it for free on this site. Bottom Line Hit & Miss But Worth Checking Out! What Does Family Search Offer You? I have labelled this a ‘hit and miss‘ site. It is a good site but only if you find what you are looking for. And as it doesn’t have as many records within its collection as the first two sites then won’t be as many rewards. But it is still worth checking just in case you do discover some gems that can help you with your research. It is worth checking out before you visit the subscription sites and pay your money. Family Search offers an array of records. And similar to the first two sites in this list it also offers vital records and census records, although not nearly as enough. If you do not find what you are looking for then fear not as Family Search is connected to the top genealogy sites – Ancestry, FindMyPast and MyHeritage. Which means you can search outside of this site and get a better chance of what you are looking for. However, you will need to have a subscription in order to access any records from these external sites. You can not only search for free on this site but also create a free family tree as well. So when you do find your ancestors within the records well then you can add that information to your tree. You will though need to register in order to use this tool. The handy hints feature that is included on other sites is also used here. So you can get connected to records on the site that may include your ancestor. This site makes it easy for your to research your ancestry while on the go. The FamilySearch Tree and FamilySearch Memories apps will work on your phone or tablet and can be used to search the collections on the site and to record what you find. If it’s free then it’s worth checking out right? Genealogy can be an expensive hobby, what with paying for software, genealogy search websites, DNA testing, and so on. So, whenever you can do research for free then it’s always a good thing. As I have said it can be a little bit hit and miss with this site. But still it’s worth checking out what you can find. And if you do not find what you are looking for then you can always connect with one of the other top genealogy sites. Which means that you can continue to build your tree on the site and get your information from elsewhere. This site only about half of what Ancestry has but it is still worthy of being in this list. Even though it does currently have 2 billion records in its collection the site can help you with your American, Canadian, British, Irish and Australian ancestors. Primarily catering for the UK genealogist this site has expanded to cover other countries of the world. And I feel it will only be a matter of time when it will be as good a site as Ancestry. Bottom Line Has Huge Potential For Your Research! What Does FindMyPast Offer You? So, if you do have British heritage then this site is definitely worth a visit. It contains all the vital records and census records that you need. And it also includes the 1939 Register. Due to World War II there was no census conducted in 1941. As the 1931 census was lost due to fire the 1939 Register provides a little insight into the life of your British ancestors. 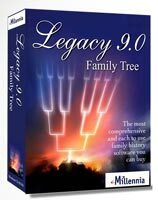 As you would expect you can create and build your family tree with this tool. Whatever you do find on the site can be added immediately to your tree. Not to be outdone by Ancestry, FindMyPast also offers a clever hints feature that will connect you to records that may be of relevance to your research. So make sure that you try to enter as much information as you can in order to access records that you can use to build your tree. Search the collection of records at FindMyPast with as little or as much information as you can. Just enter your ancestor’s first and last name, when they were born or died, set a tolerance for the dated, and set where in the world you want to search for. Unfortunately a more advanced search is not possible on this site. For example, you cannot enter say a spouse which could help you to limit the results that you receive from your search. Again similar to Ancestry you have the ability to access trees that have been created by other members of the site, (provided of course that they have been made public). 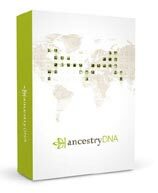 This is a great resource as you can learn a great deal from others who have already carried out research on your ancestors. However, please just take your time to analyze their research to make sure that it is accurate. I have personally used FindMyPast so I know that it is a great site that can offer you a lot. When I wasn’t able to find what I was looking for at Ancestry I then turned my attention to this website. And chances were that I found what I was looking for on this site. This is probably due to the transcriptions of the records. What I mean by this is that sometimes when a document is transcribed unfortunate errors can creep in. This can therefore hamper your research. If you cannot find what you are looking for at Ancestry then please give FindMyPast a go. Although this site is best suited if you have British ancestors who you want to research. But their database is increasing all the time so it is also worth checking to see what American records that they do have. 5. Genes Reunited UK – Excellent Site For Your British Ancestry! Similar to FindMyPast this site is an excellent resource for anyone who has British roots. Although it does only half a fraction of what its competitor has within their collection. But it is definitely worth trying if you cannot find what you are looking for elsewhere. Surely with 1/2 billion records you got to find something of interest. Bottom Line Excellent Website For UK Research! What Does Genes Reunited Offer You? The family tree builder tool comes as standard. So, whatever you do find on the site then you can add it to your family tree. And again with any tool such as this you will get hints that reveal records that may contain your ancestors. The great feature that I like is that you can receive Hot Matches. No, this isn’t hints to records that can help you. These matches can possibly be your distant cousin. Based on what information that you enter into your tree and other members trees you could find a relative who is also using the site. The search tool at Genes Reunited is pretty basic. It’s a similar tool that you can expect on other genealogy search sites. Search for your British ancestors by entering their forename and surname. Followed by year of birth, setting a tolerance, and also adding a place keyword which can help limit your search. Genes Reunited make it very easy for you to get help and communicate with other members of the site by including a message board that is broken up into 11 different categories. So, if you do hit a brick wall in your research and want help from a fellow family historian then check out the boards. Or if you just want to pass the time then there are quizzes and games that you can play among other things. To entice you to join and use the site there are competitions that are exclusive to Genes Reunited. You can also expect to find discounts for family history magazines, days out and more as well. ✔ Competitions and discounts to family history magazines, etc. This site as the name suggests is for the British family historian. So, if your ancestors come from elsewhere then you are wasting your time here. There is plenty here that will help you with your genealogy research. And I like the fact that you can possibly connect with a distant cousin. So if you are wanting to make that connection then it is certainly worth giving this website a try. Well I hope that you have enjoyed checking out this list of the best family tree websites that can help you with your family history research. There is certainly a lot of information here for you to consider before subscribing to any of the sites. As I mentioned within the Family Search review it is definitely worth checking out what this site has to offer. If you can save money by accessing records from this site for free then that’s surely got to be a good thing. Right? But with that said you should check out at least one of the other paid sites that are in this review. A genealogy search site can help you significantly to find your ancestors and discover your ancestors. They make your research easier by allowing you to create and build your family tree on their site. And they can connect you to your ancestors with hints to records that they contain. The help and support that you can get from staff as well as the community is worth mentioning as well. I cannot stress enough how much genealogy is a hobby where we can learn from each other. And with the help that you can get from other users, well then this can help you to expand your family tree and your knowledge of your ancestors. Everyone hates a brick wall but if you ask for assistance chances are someone will come to your rescue. 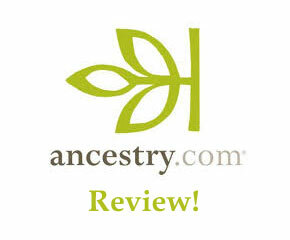 I totally recommend that you should check out Ancestry! If you decide to subscribe to any of these genealogy sites then please come back and let me know what you think. I would love to hear how it is working for you. I hope you enjoyed reading this review regarding the best genealogy sites that you can use for your family history research. If you have any questions or comments then please leave a comment below. I am actually a member of both Ancestry and Findmypast. I find Ancestry slightly better especially now that they have the 1939 Register. You’re welcome Lauchie. I have used both of these sites in the past so I know how useful that they can be. You’re pretty much getting what you need from those two. Just wondered if you had any view on the Genealogist verses The society of Genealogists. I receive offered from these ORGS ALL THE TIME ESPECIALLY THE GENEALOGIST., Any guidance? They both claim to have amazing databases and are currently about the same price. I haven’t yet reviewed SOG, but have done some checking for you. From what I see about their library they have 1000s unique records. I’m not sure if they have other records besides offering a discount to FindMyPast, incidentally they have 8 billion records. If you’re after records then in my opinion I would go for FindMyPast. But if you are after guidance and help then SOG can offer that. So they are excellent in that regard. Personally I prefer FindMyPast over The Genealogist, mainly because I used their site extensively when I first started to trace my family tree. May I ask what other organisations/sites you get offers from? The reason is is that I plan to write more reviews about such services. Thanks for dropping by and I hope that I have answered your query. Please let me kno show you get on. MyHeritage has a consistency checker which is very useful. I haven’t been able to find one in Ancestry, and I’m sure there are probably some discrepancies. Thank you Martha for mentioning that. I will amend this post to mention that. I found this review to be very informative, and well organized. I think you did a superb job outlining the differences between the sites available, and giving the pros and cons of each. There are so many choices these days that it is difficult to know which one to go with. Obviously Ancestry is one that everyone is familiar with. But it’s good to see that there are other options as well. Thanks Adam. Yes there are plenty of sites online that can help you with your genealogy research. It’s just a question of which one to go opt for. Fortunately for you, (and others), I’ve done the hard work and reviewed the 5 best ones, in my opinion. I was just blown away by just how many records that there are. I would be pleased with millions, but billions, wow. And they’re still growing yes? Thanks Dennis. Yes they are still growing. There’s just so many records out there that need to be digitized and put online. I wonder when that will finish, if ever. Hello Owain, very nice website, you certainly have done your home work on all the different genealogy sites. I had no idea there was so much involved in ones ancestry search. I will keep your site in mind. Thank you for all your hard work and sharing,i’m sure it will help a lot of people choose what one they want to go with. Yes it did take a lot of work to put this guide together of the best genealogy sites. Each of them has their own qualities so whatever works best for you then go for it. Please share with family and friends.